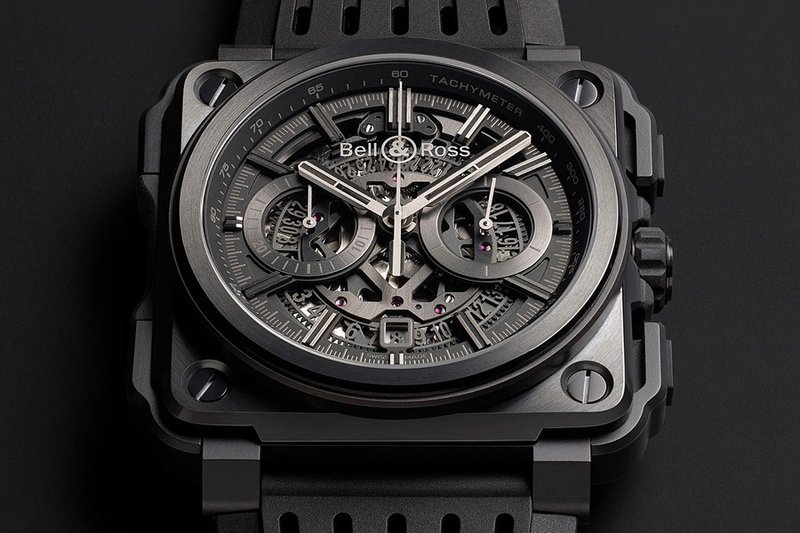 Bell & Ross has a penchant for creating some of the wristwear industry’s most intriguing watches, and their iconic, cube-like design has quickly become a favorite among storied veterans and amateur horologists alike. 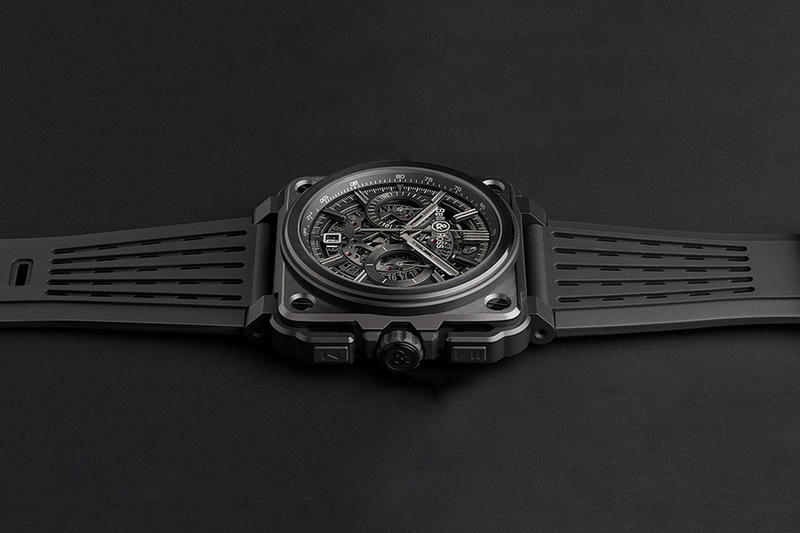 Now, the brand has revealed its latest watch, the BR-X1 Phantom — a dark, deceptive skeleton that looks as menacing as it sounds. In terms of pure peripherals, the BR-X1 doesn’t divert that far from its predecessors, integrating the manufacturer’s revered calibre BR-CAL.313, automatic mechanical movement, x-shaped bridge, and tachymeter scale. 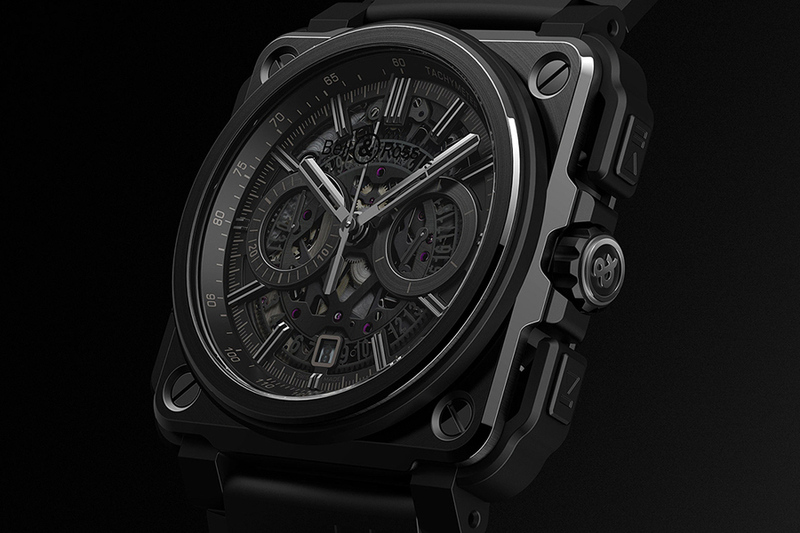 This time around, however, Bell & Ross has opted for an intimidating (but attractive) skeleton chronograph, complete with a black PVD titanium and matte black 45mm ceramic case, metal applique Super-LumiNova numerals and hands, and an anti-reflective sapphire crystal that’s both scratch and damage resistant. 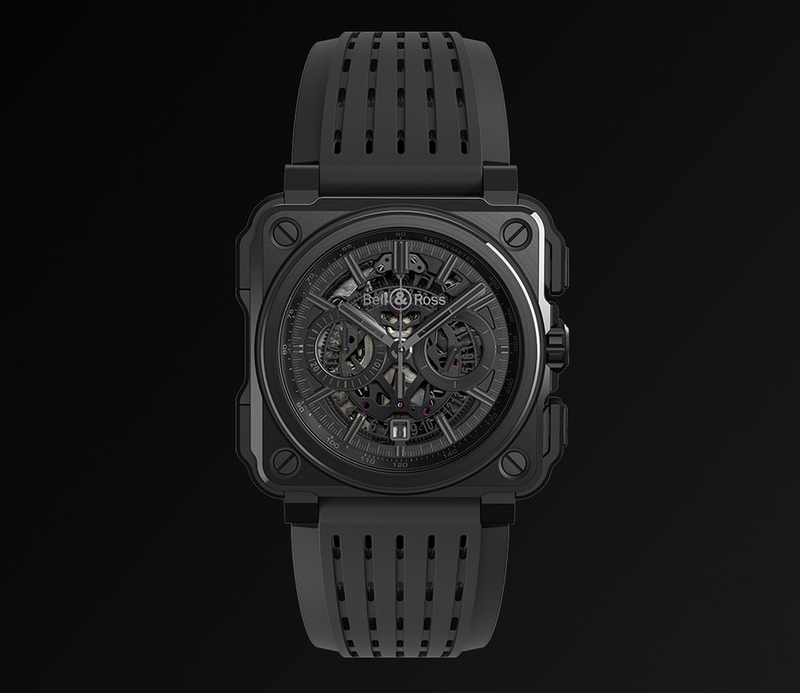 A perforated black rubber strap and 100 meters of water resistance come standard with the watch – and for just under $20,000, you’ll be able to add it to your extensive collection. Also we recommend you to check other black watches for men and top 25 luxury watch brands for men.